The river Rhine and its floodplain between the towns of Iffezheim and Karlsruhe and river Murg between the town of Bad Rotenfels and its outlet into the Rhine are part of the SAC “Rhine valley between Wintersdorf and Karlsruhe”. The area is one of the largest SAC in Baden-Württemberg, covering about 5,231 ha which is 52 km² or about 7,000 football fields. The diversity of the area is particularly impressive: Between the river Rhine and its flood dykes old meanders run through the floodplain. On numerous paths throughout the area one can discover unspoilt alluvial forests, colourful meadows and reeds. Unique quality of the SAC: Whilst the Rhine between Basel and Iffelheim has been regulated and tamed with barrage weirs, in this area the river can overflow the banks and regularly flood the floodplain. The varying water levels permanently change the landscape. This natural dynamics are the reasons for the great variety of species and habitats in the river valley. The mosaic consists of a network of cut-off meanders and oxbow lakes, shallow water zones and stands of water plants, springs, wet meadows, stands of water mudwort and watercress, reeds and sedges, molinia-dominated meadows, and semi-dry grasslands (cf. profile of the SAC). 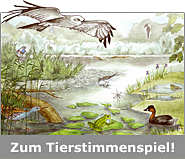 From a European point of view there are fourteen different habitat types worthy of protection! Which are these habitats and what is typical for them? The endangered species according to the Habitats Directive belong to different species groups: they contain smallest snails and bog species, water plants, beetles, butterflies, dragonflies and damselflies, ten species of fish as well as amphibians and mammals.